The apartment was very comfortable and clean; it had everything we needed and Carolina was very nice with us. Highly recommendable if you plan to stay in Ponta Delgada. The property is great, comfortable and modern. Carolina from the staff was very kind and attentive. O apartamento fica numa zona bem perto do centro de Ponta Delgada o que nos permite relaxar bastante pois é uma zona bastante calma. Ainda para mais tem logo ao lado uma superfície comercial o que dava para irmos fazer as pequenas compras diariamente. Tanto da Carolina como da meninas da limpeza tinham uma boa forma de comunicar e muito simpática. ADORAMOS!! O pequeno almoço não estava incluido no pacote de alojamento. A localização do imóvel é muito boa, fica perto do centro da cidade. El apartamento es muy grande, cocina amplia y muy equipada, un baño completo con bañera y un aseo, dos habitaciones, un gran salón, tendedero con lavadora y una gran terraza con fantásticas vistas. Es muy cómodo. Está en un edificio nuevo y muy cerca del Continente, ibamos andando. No teníamos aparcamiento privado pero en la calle siempre había sitio. Gostei muito do alojamento, encontrei tudo aquilo que precisava, perfeito. 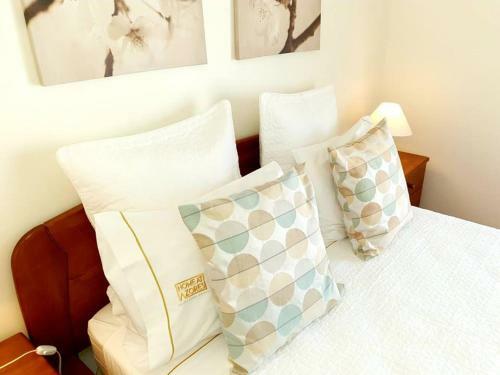 Lock in a great price for City View House – rated 9.6 by recent guests! One of our top picks in Ponta Delgada.Located in Ponta Delgada, this air-conditioned apartment features free WiFi and a balcony. The apartment is 1.4 mi from Portas da Cidade. The apartment offer a fully equipped kitchen with an oven, a microwave and a dishwasher. Santuario Nossa Senhora da Esperanca is 1.7 mi from City View House, while Estufas de Ananases is 0.7 mi from the property. The nearest airport is João Paulo II Airport, 2.5 mi from City View House. 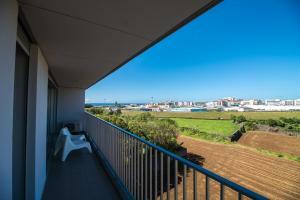 This property is also rated for the best value in Ponta Delgada! Guests are getting more for their money when compared to other properties in this city. When would you like to stay at City View House? This apartment has a oven, cable TV and tile/marble floor. This apartment with plenty of natural light, large rooms and excellent sea and mountain views offers a pleasant and comfortable atmosphere, only a 5 minutes drive from the airport and 7 minutes from the historic center of Ponta Delgada. City View Apartment is perfect for families with children or friends looking for unique moments. It sleeps up to 4 people. Home at Azores offers a variety of lodging options in the island of S. Miguel for those who are looking for an experience in contact with nature, rest by the sea or simply enjoy a city-break in Ponta Delgada. 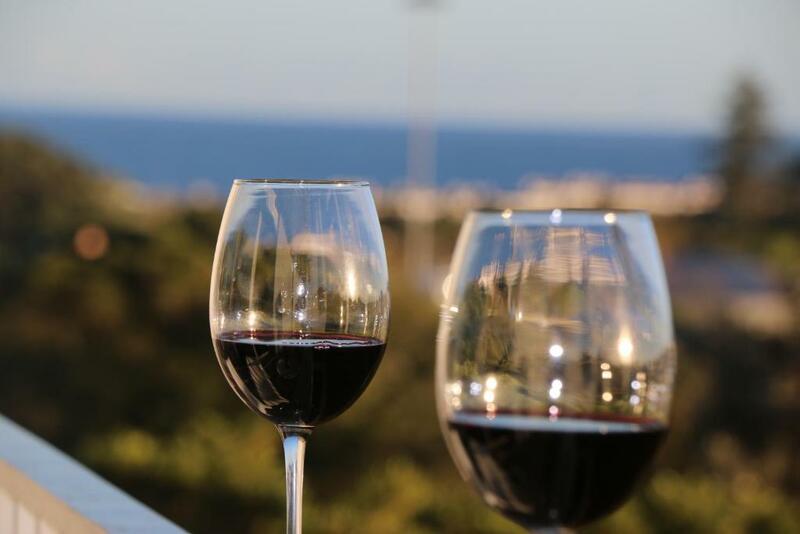 We invite you to get to know our apartments and choose one as your home while in S. Miguel island. Enjoy every moment! House Rules City View House takes special requests – add in the next step! City View House accepts these cards and reserves the right to temporarily hold an amount prior to arrival. Please inform City View House of your expected arrival time in advance. You can use the Special Requests box when booking, or contact the property directly using the contact details in your confirmation. The fridge needed the door to open the opposite way as it was against a wall making it awkward to get food. Miner issue wifi didn't really work.....but able to use European roaming on networks. The early check out (11 am), especially because we had a 2 years baby boy with us.